I find that the obstacles most mentioned are lack of time and lack of motivation. Often times, it is the "getting started" that's the hardest part. To get started takes a trigger, something that provides a source of inspiration. Once action has taken place, it becomes more about staying motivated to follow through. Cheerful smiling and beautiful people running at the fitness club. Each year I make a point of sitting down and spending some time reviewing the previous year; the highlights, the struggles and the reasons why I may have fallen short on some of my goals. As a fitness business owner it only makes sense to also encourage my team and clients to do the same. When it comes to fitness goal attainment, I find that the obstacles most mentioned are lack of time and lack of motivation. Often times, it is the "getting started" that's the hardest part. To get started takes a trigger, something that provides a source of inspiration. Once action has taken place, it becomes more about staying motivated to follow through. The following are eight quick tips to help keep you stay motivated and allow you experience better results with your fitness goals this year. If there is one thing to commit to with your fitness routine, make it consistency. It's true that the more consistent you are (even if you only have time for 15 minutes of exercise) the more successful you will be with your fitness results in the long run. Try choosing one or two activities you really enjoy and make the commitment. Without knowing where your current fitness level is, it's difficult to set tangible and realistic markers to achieve. In order to have an exercise program that's customized to you and your needs, it's important to evaluate measures such as strength, biomechanics, cardiovascular fitness and body composition. Make a point of booking an appointment with a fitness professional who can administer a comprehensive fitness evaluation so that you can get started on the right track. Re-evaluate once every quarter to help track your progress and revamp your existing routine. One of the most detrimental diet mistakes is sugar ignorance. Be aware of how much sugar is in your current diet. Many juices, cooking sauces, dips and dressings contain more sugar that you think, which can counteract your hard work in the gym and affect your overall health. Try replacing sodas and juices with water. You can dramatically decrease the amount of excess calories you consume by opting to drink mainly water. Try adding some citrus for added flavor and the added health benefits of detoxifying and reducing your body's acidity. If you do consume alcoholic beverages on occasion, make a point to drink two glasses of water to every cocktail -- your body will thank you for it! Excuse-proof your fitness plan! Having a gym bag with your workout gear, water bottle and other necessary items can ensure you reduce your chances of justifying how tired you are and excuses of not being prepared to go workout. Additionally, if getting to the gym is the big challenge there are many digital programs available such as Evolve Functional Fitness that provide great workouts that can be done at home -- a great back up plan for when time becomes the excuse! Using an activity tracker not only helps track your progress, but also ensures that you continue to challenge yourself. For tracking exercise efficiently, I suggest choosing one that also monitors your heart rate. If you're a runner it would also be helpful to choose a tracker that has the added features of built in GPS to track speed, distance and pace such as the new Microsoft Band 2. Research proves that accountability and support significantly increases human potential and the rate of success. Find a partner to train with and commit to the journey together. Variety is the spice of life! Injecting something new into your workout routine each month can ensure that you keep things not only physically fresh but also mentally stimulating. Try a new class, a new workout program or get outdoors for a workout -- you'll be surprised how refreshing it can be to your regular routine. It is proven again and again that having a coach enables you to push further, train more effectively and experience more significant results. 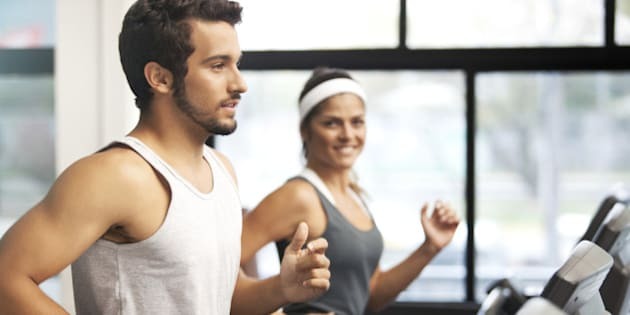 There are also many cost-effective ways of investing in personal training, such as connecting with others for group personal training sessions.